Rick has been a radio presenter with RTE 2FM since 2001 and is also the presenter of The Poetry Programme on RTE Radio 1. In 2015 he co-presented the Bord Gais Energy Irish Book Awards on RTE One TV and presented his first TV series for RTE “Science & Me” as part of Science Week 2016. He’s had epilepsy since he was 16 and has been the National Patron of Epilepsy Ireland since 2006 both fundraising for the organisation and raising awareness of the condition appearing frequently on TV and radio. Rick presents corporate events and launches on a regular basis for clients as varied as Diageo, Samsung, Maximum Media (Joe.ie / Her.ie), Amazon and Microsoft. He regularly introduces movie premières in Dublin and has conducted public interviews at the Dublin International Film Festival with Richard Dreyfus, Danny DeVito, Michael Madsen and Harry Shearer. He also hosts public author interviews with guests as diverse as playwright Simon Stephens, authors Anthony Horowitz, Eoin Colfer, Liz Nugent and Donal Ryan, journalist Johann Hari at Dublin’s International Literature Festival, Graham Norton at Listowel Writers Week and Michael Chabon at the Dublin Bloomsday Festival. Rick presents annual awards ceremonies including the Web Awards, Social Media Awards, SME Awards and Student Enterprise Awards. 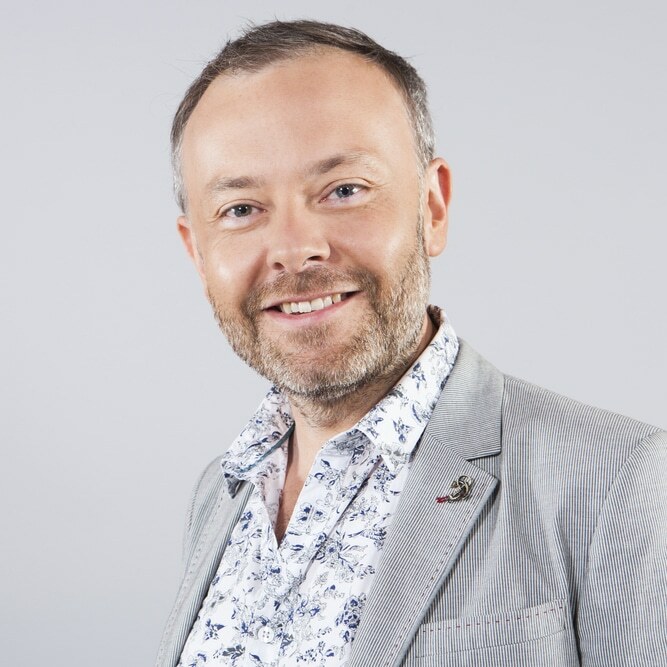 He also hosts at other events as diverse as the Festival Of Curiosity, Pint Of Science Festival, CBI Book Of The Year Awards, Event Industry Awards and the social media metrics business conference Measurement.ie. Rick has been a speaker at international conferences on epilepsy in Montreal, Malta and Marseille as well as at the European Parliament in Brussels and on the use of social media in radio at the Radiodays Europe conference. He is part of the industry voting academy for the BGE Irish Book Awards and was a judge for the 2015 UK and Ireland Young Adult Book Prize run by The Bookseller magazine. He also runs The Rick O’Shea Book Club – Ireland’s largest book club. Rick is a fantastic MC and after-dinner host.